It’s almost poetic that we should choose to use the above image to welcome you to our latest pop interview – with UK songstress Paloma Faith. Because it’s precisely where we find our pop heroine when we pop on the phone for a natter. Paloma’s not without good reason, of course. She’s on the verge of wrapping up an exhaustive morning of overseas media commitments, all in promotion of her brand new album ‘Fall To Grace’. At the time of our chat, her album is No.1 in the UK midweeks, but it’s in the throws of a right royal challenge, leading Paloma to engage in a bit of friendly chart sparring. “It’s very closely followed by Gary Barlow singing songs about the Queen and it’s the Jubilee weekend and he’s all over the bloody television!” she exclaims. “Barlow, stealing my thunder! He’s had his run, he should just piss off!” she jokes. Sadly for Paloma, with the surge in national pride surrounding the Queen’s Diamond Jubilee, Gary’s commemorative ‘Sing’ EP did end up debuting in the No.1 position in the UK on Monday. But ‘Fall To Grace’ ran a close second, giving her her highest chart position to date. Paloma Faith first appeared on our radar via her stunning debut album ‘Do You Want The Truth Or Something Beautiful?’ back in 2009. The album introduced us to a captivating new talent with an unmistakable voice and a style that was hard to pigeon-hole. We talk to Paloma about the differences between that first album and her new record ‘Fall To Grace’. “When you’re writing your first album, you’re doing it for some time, whilst simultaneously trying to get the support of a record label,” she says. “In my case, I was actually writing songs for five years leading up to actually getting signed. So some of the songs that actually made that record were songs that I’d written five years before, so I didn’t necessarily feel that emotionally attached to them anymore, because as you write, it’s all new stuff and a lot changes over a period of years. You rejuvenate and you heal, so you don’t necessarily feel as emotionally close to those songs. The first single from the album, ‘Picking Up The Pieces’, is an account of devastating emotional torment within a relationship. Paloma admits it’s a little autobiographical. 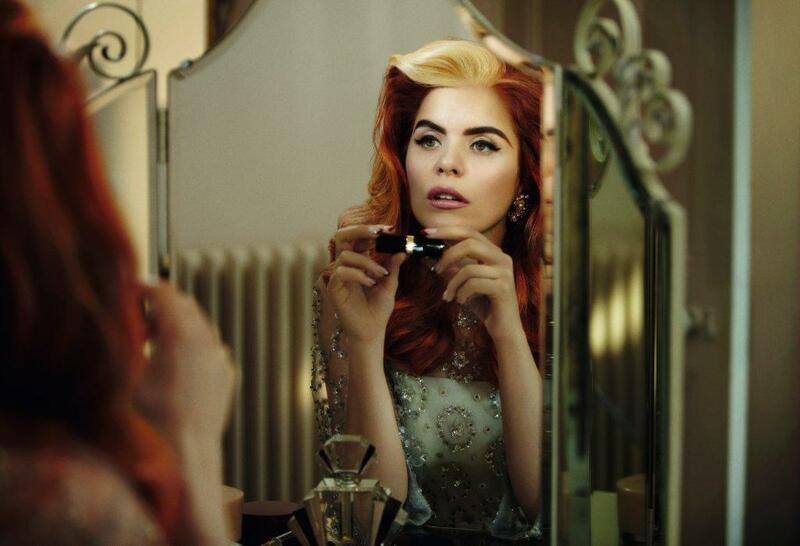 Paloma’s acting abilities in the clip are on show for all to see. She’s pretty convincing in the roles of both the current and ex girlfriends. It’s not surprising, given the songstress has been acting since before her music career kicked into gear. Paloma drew inspiration for ‘Fall To Grace’ from a rather familiar, iconic and colourful cinematic source. She describes the overriding message of the LP as one of hope. “Well it’s about turning tragedy into hope and it’s about channelling all those hard situations and trying to make yourself feel like it made you stronger, but not losing your innocence. I tried to keep a bit of hope in there. “I was inspired a lot by Judy Garland singing ‘Somewhere Over The Rainbow’. There’s tragedy in it and sadness, but it’s hopeful. I suppose the whole record is a homage to film. It’s about me turning my life into a soundtrack,” she says. Assisting her in doing just that were super-producer Nellee Hooper, who’s previously worked alongside the likes of Madonna, Bjork and Garbage, and Jake Gosling, who co-produced Ed Sheeran’s multi-national smash ‘+’. We enquire as to how the collaboration with them came to be. But Nellee and Jake aren’t the only big names Paloma’s recently been collaborating with. She recently spent time with a certain symbolic someone who’s just finished touring Australia and tells us he had a profound impact on her. Something else that causes Paloma angst is choosing which of her ‘babies’ get to become singles. But we suggest that given a successful album project, there might be at least four or five tracks given the single treatment from ‘Fall To Grace’. “Hopefully, provided it all goes well,” she says. With a UK number two album on her hands, it seems that everything’s certainly on the right track for the ‘Fall To Grace’ project. Now Paloma would like the album to fire here in Australia so that she can justify the expense of coming for live shows. But she hints that a visit may already be on the cards. Perhaps a certain celebratory royal may hold the key to Paloma’s future travel aspirations…? “I hope that the Queen has secretly bought 75 copies of my album on iTunes,” she laughs. And with that simple wish, Paloma’s saying goodbye, readying herself for a right royal day of her own, popping on her crown and grazing on a breakfast of dainty cucumber sandwiches. 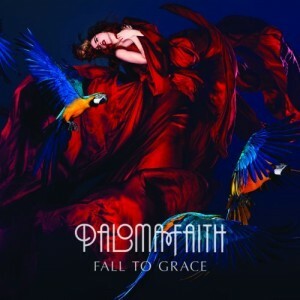 Paloma’s album ‘Fall To Grace’ is available digitally and physically now. The single ‘Picking Up The Pieces’ is also available digitally. A little birdy tells us that Paloma is slated to be in Australia for promotional duties in October.